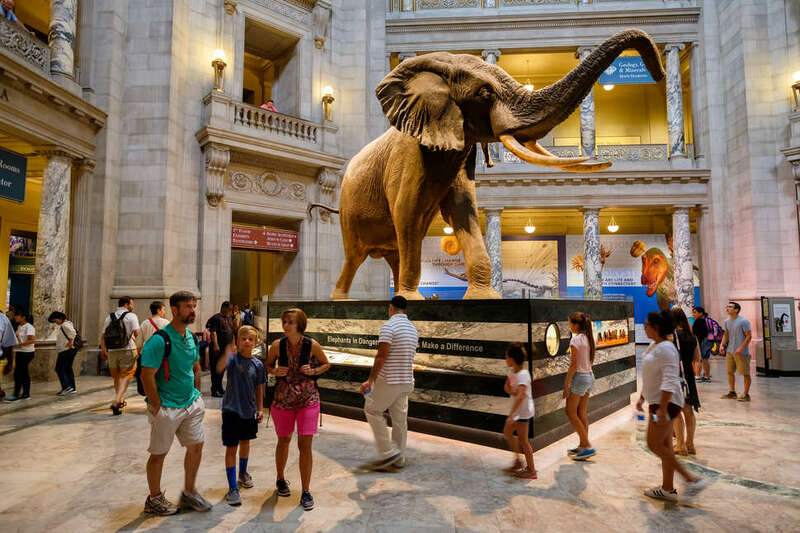 DC is a paradise for museum-goers, to the point where most visitors here already know or recognize the Smithsonian Institution and its many free museums. Those spots alone are more than any tourist or local could explore in a day, with hours of displays on art, nature, astronomy, and much more. But beyond the iconic National Mall, DC is filled with plenty more to see for people of all tastes. Proximity to culture and history is one of the most edifying aspects of living here, after all. Whether it’s meandering through historic mansions and manicured gardens or experiencing the thrill of live television, here are the best museums to visit in the city. 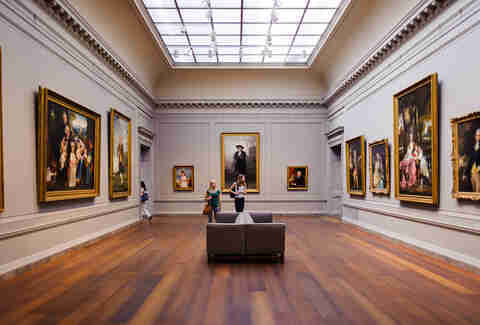 Wander the wings of the National Gallery of Art and you’ll come across masterpieces by Leonardo da Vinci, Raphael, El Greco, and other renowned artists. The impressive collection here has welcomed traveling exhibits on Edvard Munch and Vermeer. Later this year, the museum will bring in marine paintings from the Dutch Golden age and works from Camille Corot. The outdoor sculpture garden is a popular summer hangout. Know before you go: Admission is free, and hours are Monday through Saturday from 10am to 5pm and Sunday from 11am to 6pm It’s closed on Christmas and New Year’s Day. This is the place to soak up Americana, including the permanent and beloved display of the Star Spangled Banner that inspired Francis Scott Key’s poem. Fashion fans can gaze at Michelle Obama’s inaugural gowns and the ruby slippers that Judy Garland’s character Dorothy famously wore in the film, The Wizard of Oz. Past exhibitions included "Puppets & Muppets" and a memorial to the musician Prince. 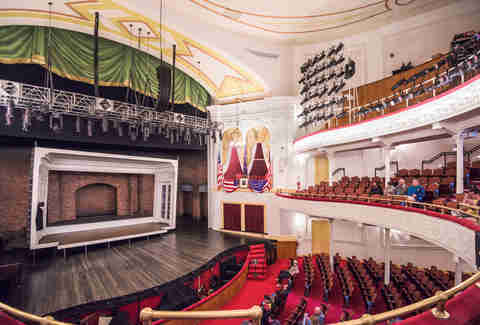 There’s also the 261-seat Warner Bros. Theater, which shows 2D and 3D films. Know before you go: Admission is free, and hours are 10am through 5:30pm every day except Christmas. The history of "the first rough draft of history"
National news breaks every single day in DC, so it is appropriate that many of the most iconic moments in journalism history are memorialized at the Newseum. 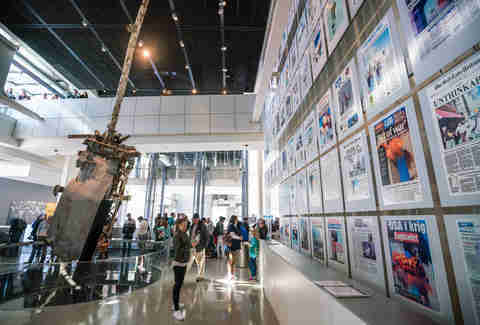 Ongoing displays include somber reminders of September 11 and Berlin Wall events, along with an interactive newsroom and “pictures of the year” galleries. It’s touched on watershed issues like the 2016 presidential election and the Vietnam War. Beginning in March of 2019, it will welcome an exhibition commemorating the 1969 gay rights riots at the Stonewall Inn and the subsequent fight for equal rights. Know before you go: Admission is $24.95 for adults (ages 19-64), $19.95 for seniors (ages 65 and over), $14.95 for children ages 7-18, and free for children under seven. Hours are Monday through Saturday from 9am to 5pm and Sunday from 10am to 5pm The museum is closed on New Year’s Day, Thanksgiving, and Christmas. Channel your inner secret agent at the International Spy Museum. Learn what it takes to become a spy or get briefed on some of history’s most important methods of encryption and communicating secret information. Take note that the collection doesn’t change much, so repeat visitors can expect most of the same experience. They do, however, host talks with espionage veterans, authors, and experts, so keep an eye on the calendar if the topic interests you. Know before you go: Admission is $22.95 for adults (ages 12-64) and $16.95 for seniors (ages 65 and older), military, veterans, fire and law enforcement, and college students (with valid ID). Hours are 10am to 6pm daily, except for Thanksgiving and Christmas. 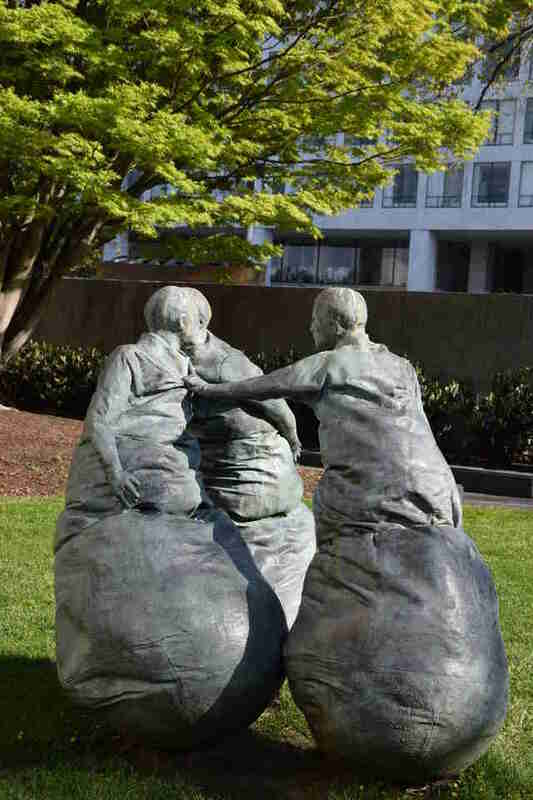 The Hirshhorn is a favorite for fans of modern art and sculpture. 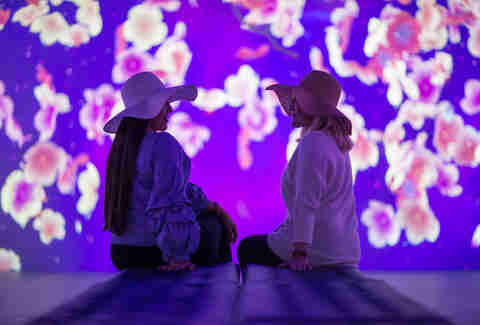 Guests can view an exhibition "Art and Commodity in the 1980s," and the mind-bending art of "What Absence is Made Of." Past showcases gave a platform for Ai Weiwei, Yoko Ono, and the insanely popular Infinity Mirrors display. An exhibit on Baselitz will open in June and run through September 2018. Know before you go: Admission is free, and it’s open daily from 10am to 5:30pm every day except Christmas. The National Portrait Gallery made headlines recently when it unveiled the colorful official portraits for former President Barack Obama and first lady Michelle Obama. The walls are lined with paintings of all the presidents, along with images of American history from sports figures to revolutionaries. Beginning in May, the National Portrait Gallery will celebrate its 50th anniversary with photos of 50-year-old celebrities. Prior displays included a feature on Martin Luther King Jr. and John F. Kennedy. Know before you go: Admission is free, and hours are 11:30am to 7pm daily, except for Christmas. The building also houses the Smithsonian American Art Museum. 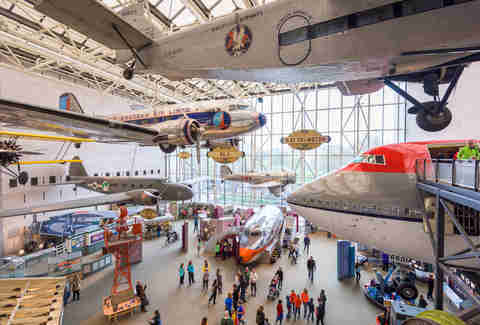 The floors of the Air and Space Museum are classic even among the vast Smithsonian collection, appealing to fans of all things space and flight. Gaze up at the Spirit of Saint Louis or take in a show at the Eisenhower planetarium. Buy some astronaut ice cream and learn about all things to do with the air and solar system. Or, catch a movie or a show at the IMAX theater. Past highlights have included Hawaii by Air and Suited for Space. Know before you go: Admission is free, and hours are 10am to 5:30pm daily, except Christmas. You can unleash your inner explorer at this hub of research, history, and curiosity. An extension of the National Geographic brand, this museum boasts a rotating slate of top-notch and interactive exhibits, along with a permanent gallery of some of the brands best magazine covers. "The Tomb of Christ" exhibition runs through January 2, 2019, and a feature on the history of the Titanic opens on May 30, 2018. Some of the best previous exhibits have touched on sharks, crocodiles, Greek history, and Indiana Jones. Know before you go: General admission is $15 for adults, $12 for students, seniors, and military members, and $10 for children ages 5-12. Hours are 10am to 6pm every day except Thanksgiving and Christmas. Opened in 2016, this museum’s floors are lined with music, sports, and pop-culture memorabilia along with powerful reminders of slavery and the civil rights movement. 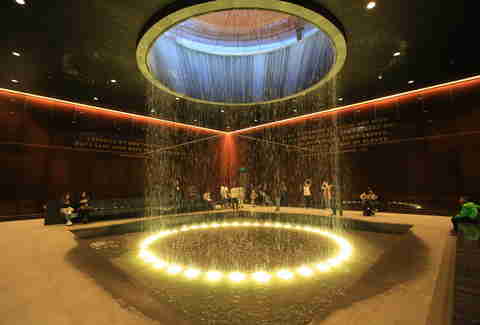 Guests can also learn about the museum’s long road to reality. Same-day timed-entry tickets are released online at 6:30am daily (limit four per order) and are still hot commodities. Be sure to make time for a meal or a snack at the very-cool Sweet Home Café onsite, which features dishes from regions like the Agricultural South and the Creole Coast. Know before you go: Advanced online tickets of up to six per group can be requested on the first Wednesday of the month. Single-ticket walk-ups are given out on weekdays starting at 1pm. Admission is free. Hours are 10am to 5:30pm daily, except Christmas. Touring the National Archives can get a little wonky, as it’s primarily a library for historical documents and records. But the magnitude of its collection can’t be discounted -- visitors here can see the Declaration of Independence and the US Bill of Rights. Those alone are worth a quick glimpse. The museum has displayed papers from World War I and, through June 6, 2018, it’s hosting “Remembering the Assassination of Martin Luther King Jr."
Know before you go: Admission is free, with hours to the public gallery from 10am to 5:30pm daily, except Christmas and Thanksgiving. 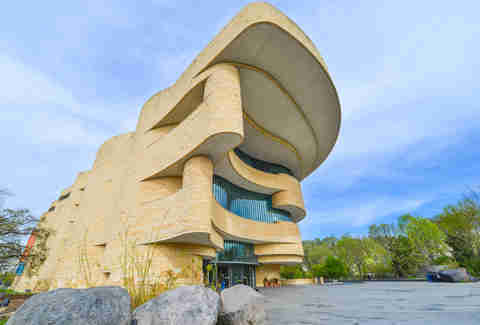 Located on the east end of the National Mall, the National Museum of the American Indian pays homage to this country’s diverse indigenous population. Learn about the Chesapeake region’s earliest inhabitants and marvel at American Indian crafts and apparel. The museum also has Mitsitam Café, one of the standout cafeterias on the National Mall. The quick-service food stalls feature dishes from various Native American cultures, from the Great Plains, to Northwest Coast, and even South America. Know before you go: Admission is free, and hours are 10am to 5:30pm daily, except for Christmas. Get outdoors and travel back in history to the time of George Washington at this Virginia estate, located just a 30-minute drive from the city. The onsite museum and education center has 23 galleries and theaters, each packed with information on America’s first president. Objects include Washington’s own presidential chair and even a set of his dentures. Guests can also get a tour of the mansion and explore the grounds and onsite distillery. Know before you go: Tickets purchased online are $18 for adults ages 12-61, $17 for seniors ages 62 and older, and $11 for children ages 6-11. Hours are 9am to 5pm from April through October, and 9am to 4pm from November through March. Since opening in June 2017, Artechouse has become a favorite for its blend of digital imagery, art, music, film, theater, and technology. The current exhibit, "Sakura Yume Cherry Blossom Dream," runs through May 6, 2018. Features of the exhibit include an interactive 3D koi pond sculpture and a lantern-lit street. Past installations have included "Parallel Universe," "Kingdom of Colors," and "Spirit of Autumn." Know before you go: General admission is $15 for adults, $12 for students, seniors, and members of the military, and $8 for children 12 and under. Daytime hours run 10am to 5pm and evening hours (ages 21+) are 7pm to 11pm. At the Phillips Collection, French impressionist works hang alongside other European masters and renowned American painters like Vincent Van Gogh and Georgia O’Keeffe. Perhaps the most famous work here is Luncheon of the Boating Party by Pierre-Auguste Renoir. Past exhibits have included drawings and paintings by George Condo as well as Markus Lupertz. A limited-time exhibition of the museum’s archives is on display through the end of 2018. Know before you go: Tickets are $12 for adults, $10 for students and visitors ages 62 and older, and free for visitors 18 and under and museum members. Hours are Tuesdays through Saturdays from 10am to 5pm and Sundays from noon to 6:30pm It’s closed Mondays, Christmas Eve, Christmas, Thanksgiving, and Independence Day. Expose your senses to the flora of the US and the world at this plant-based museum in the shadow of the Capitol building. Highlights include a year-round tropical rainforest in the glass conservatory and an outdoor garden that’s home to mid-Atlantic regional plants. Previous exhibits have included carnivorous plants and orchids. A series of botanical murals is on display through October 15, 2018. Know before you go: Admission is free. 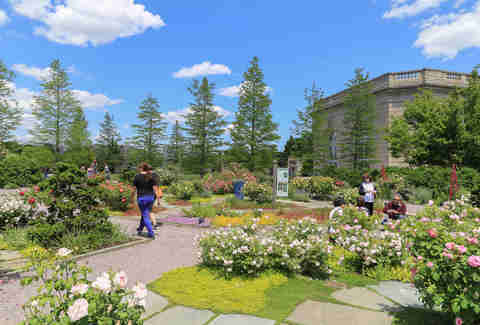 The conservatory and garden are open 10am to 5pm daily. Purchased by Marjorie Merriweather Post in 1955, the Hillwood estate, museum, and garden is one of the gems of Washington’s museum world. It’s home to one of the largest collection of Russian imperial art anywhere outside of Russia and also has lots of French decoration and architecture. Guests are free to wander the gardens, get a tour of the mansion, or kick back for some food at the café. Know before you go: The suggested donation is $18, $15 for seniors, $10 for students, and $5 for students ages 6-18. The Holocaust is undeniably a heavy subject, but it’s one that begs for remembrance and reflection. This museum’s permanent exhibition walks through the events leading up to and through the horrible Holocaust of the late 1930s and 1940s. 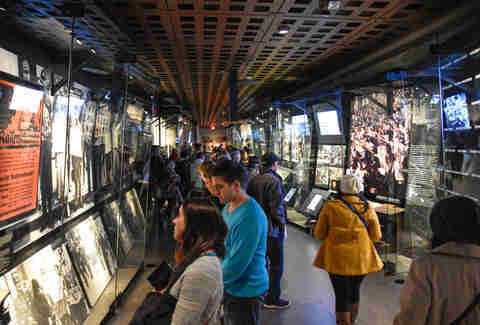 There’s also a free section focused on Americans in the Holocaust, including showcases of first-hand accounts and experiences. Know before you go: Tickets are free and not required from September through February. The rest of the year they can be reserved in advance online for a $1 fee, or walk-ups on the day of. From March 26, 2018 through June 18, 2018, hours are 10am to 6:30pm, Monday through Friday; otherwise the museum closes at 5:30pm. It’s closed on Yom Kippur and Christmas. The museum’s tagline of “Where Asia Meets America” sets the stage well for the Freer Gallery and its stunning artifacts and artworks. Start with the Peacock Room, which was relocated from Frederick Leyland’s London Mansion and reassembled in Washington. There’s also a selection of Buddhist sculptures and Japanese prints. In the past, the Freer Gallery has also displayed exhibits on the mummified cats of Ancient Egypt, as well as Islamic ceramics. Down the line, expect to see modern Japanese prints and photography. In addition to being a working theater, the site of Abraham Lincoln’s assassination also hosts about 650,000 visitors a year. The tour of the historic site includes exhibits on President Lincoln’s administration and also features the Deringer pistol John Wilkes Booth used in his 1865 assassination. The neighboring Petersen House, where Lincoln was cared for and ultimately died after being shot, is closed for renovations through June 2018. Know before you go: Tickets range between $3 and $8, and hours are 9am to 4:30pm. Tourists at this museum are immediately met with up-close taxidermy of mighty mammals, tiny insects, and the chance to explore the diversity of sea life. A new exhibit puts the spotlight on the whimsical arctic narwhal. Other permanent displays include the glitzy Hope Diamond and other colorful minerals and gemstones. The fossil hall is expected to reopen in 2019 after renovations, though another, smaller dinosaur exhibit has taken residence in the meantime. In 2016, it attracted 7.1 million visitors -- more than any natural history museum in the world. Travis Mitchell is a DC-based food and drink writer, with stories appearing in outlets including Eater, DCist, Paste, the Washington City Paper and others. He is originally from New Hampshire and studied journalism at American University. Follow his travels and eating adventures on Twitter at @travisjmitchell and Instagram at @_travisjmitchell.